Petals of Muoli: WHAT CELEBRATIONS MATTERS THIS NATIONAL DAY? In the simple past of Singapore, we lived simply, think simply, and there isn't much sophistication like today. I participated in the famous 1968 National Day Parade and was drenched like everybody else, proudly donning the dark blue uniform of the Boys Brigade. 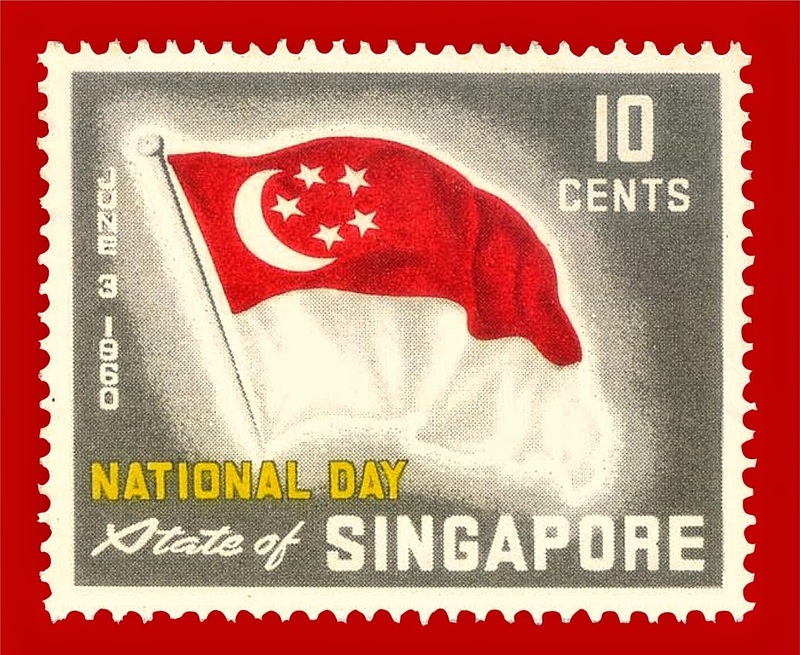 Years later, it became almost an annual affair to be part of the National Day Parade. The virgin experience was breathtaking. The thundering voice of the parade commander sent goose pimples popping, and the pulsation of the heart syncs rhythmically with each drum beat that is guiding every step of the march. I was representing 2nd Company of the Boys Brigade, my company to be amongst troops and tanks rolling down the streets of Singapore. I had loved every bit of efforts that led to this grand finale. Not just the drill practices to fine tune our timing and uniformity, but also the hard starching and ironing of my cotton drill uniform making it still upright despite the heavy perspiring. And there is the brass buckle to be Brassoed to golden shine, the belt too has to be Kiwied polished as with my leather boots. All these were done meticulously and lovingly in great expectation of that big day. Today, even the SAF has abandoned the ritual of hard starching in exchange for comfort and efficiency. Where my boots was leather soled and fixed with metal studs that give out a sharp clang each time it hits the tarmac ground, military boots today have lost that intimidating sound of a killer force. So when the press and social media were discussing about what it means to have lesser and lesser Singaporean homes flying the State flag, I can only say that increasing sophistication in Singaporeans may be the most likely cause. Not necessarily so that Singaporean families will show their patriotic sides in other visible forms, the key issue in the debate, but that patriotism may not be easily interpreted with simple acts anymore. Would you count those inside the crowd drowning themselves in the thick of parade more patriotic than those resting on their couch cheering the actions via live telecast? I will be popping my bottle of Prosecco to wish "Long Live Singapore", and I am never inside the radar of those who are counting flags. I guessed bottom line of any celebration that matters is that we are able to do happy things together, enjoy the good life, and we can still talk about what we want to achieve tomorrow. This is the true National Day Celebration we are having.